These handheld devices are considerably smaller than laptops and other computers that have built-in printing capabilities in the operating system, thus containing less memory. Because of this, documents may need to be condensed in order to print properly. This is where printing applications come in handy. These applications will automatically search for available printers, condense your document as to not overwhelm the memory of the handheld device, and then print. The document may not be as crisp and clear as when printing from a PC, but it should be sufficient enough for the average user. Technologies such as AirPrint (Apple products), ePrint (HP), and Cloud Print (Google) are supported by newer printers and handheld devices. AirPrint will automatically scan for compatible printers and allow users to print any document, image or webpage with the touch of one button. Cloud Print is similar, but requires a base computer that is on all the time if the printer does not support it natively. HP ePrint allows users to email documents and images directly to the address assigned to the printer. Check out this article for more in depth information about these technologies. If you have a BlackBerry, you could install the PrintAnywhere application. To print using this app, you would have to compose an email from your phone, attach the document you want printed, and send the email to a fax machine by putting the fax number in the recipient box. This could be frustrating as you may not be near a fax machine when you need something printed. It is also frustrating because you have to pay a monthly fee for this app as well as a fee for each printed page. If you are in a career that forces you to travel or constantly be in transit, investing in a portable printer, like the Canon PIXMA iP100, could be the best decision for you. Instead of seeking a printer every time you need to print a document, you can have one in your bag, car, or even your pocket. 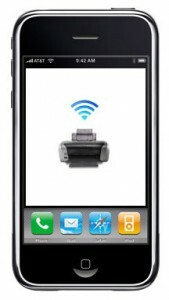 Most modern portable printers are compatible with mobile printing devices and applications. There are various types of portable printers on the market, so be sure to get one that can meet your size and color requirements. 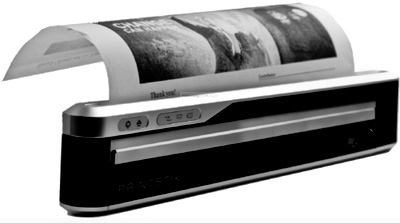 Mobile printing can be limited in quality, speed and connection options, but also provides a luxury that was very rare just a few years ago. More and more machines are being designed to support printing from handheld devices and there are a number of applications that can be downloaded to help you get connected.